France in London | The French team's attitude costs them- literally. The French team's attitude costs them- literally. These days, everybody has something to say about « Les Bleus ». The most common attack against the French football team is that the players are just a bunch of spoiled millionaires who only care about their money. But following recent events, the players may very well be facing a drop in their incomes. First of all, the French Football Federation (FFF) reminded everyone yesterday that if Les Bleus don’t qualify for the eighth-final, they won’t receive any bonus. Instead, the money will go to the amateur football organisation and the professional football league. But money from the Federation is only a fraction of what Les Bleus could count on. Most of the money they make comes from contract with various sponsors. And, unfortunately, it doesn’t look good from that side either. The French Bank, Crédit Agricole, said it has stopped its advertising TV campaign featuring various members of the French team. GDF-Suez, another sponsor of the team is “revolted” and intends to terminate all its sponsorship contracts with the FFF. The only sponsor who remains steady for the moment is Adidas. But the firm is less concerned about the French team’s drowning as its contract with Les Bleus terminates at the end of the year: from January onwards, the players’ horrible public image will be Nike’s problem. 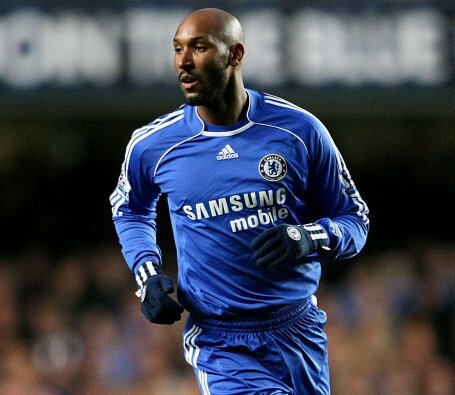 One player in particular, though, is in a worse place than the others: Nicolas Anelka. After refusing to apologise publicly for insulting the French coach, the Chelsea player was sent back home to London in disgrace. Even before his dismissal, the fast-food restaurant chain Quick (France’s equivalent of McDonald’s) announced the cancelling of its TV campaign featuring the player, less than a week after its launch. Pringles (Procter & Gamble Group), Anelka’s other commercial partner, yesterday announced they would be doing the same. But don’t worry too much about him; During his short stint in South Africa, his representative still managed to arrange a £90,000 –a-week package with Chelsea. So it looks like the striker’s financial future is secured. And, really, isn’t that all that matters?